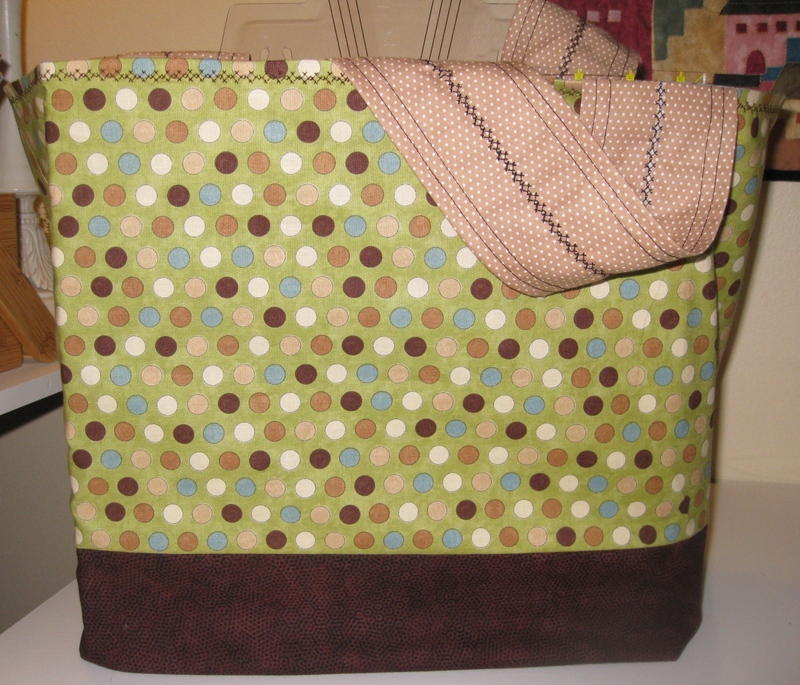 During our last quilt guild meeting I learned how to make a cool bag to carry quilting rulers (thanks, Diana!). The perfect item for our upcoming retreat. The bag folds totally flat when empty (the rulers give the bag its shape), a welcome bonus for those of us with limited storage space in our sewing rooms. There are enough pockets for different size rulers, as well as smaller pockets for rotary cutters, scissors, and other notions. It was easy to make, and I used a decorative stitch for topstitching. What do you think?